3D data: 3D coordinates with corresponding 2D image coordinates. Data format is like 3D coordinate map of the acquired 2D images over the segmented regions; wireframe meshes are not available. 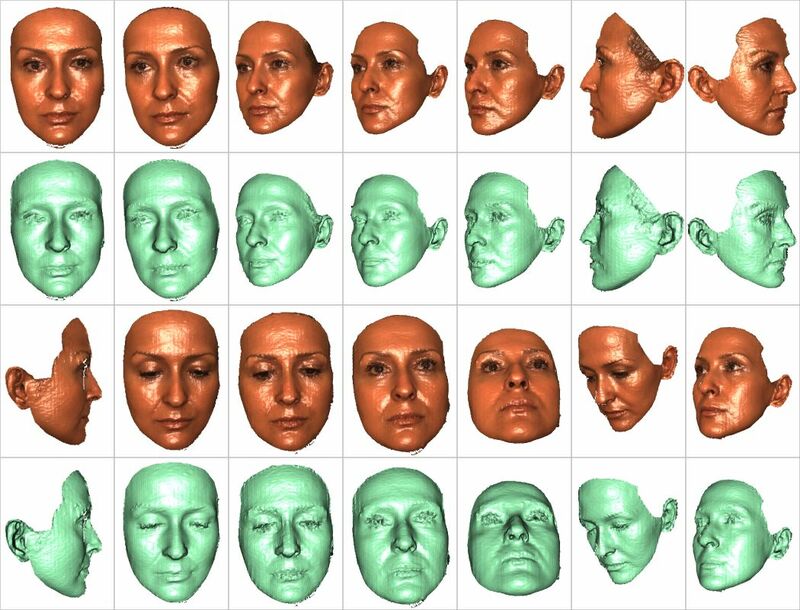 2D color images: high resolution color images which were cropped for face regions. Since correspondences exist, color images can also be used for texture mapping. 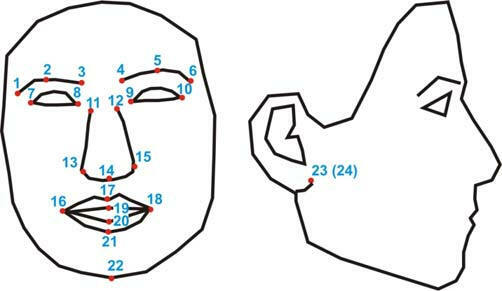 Landmarks: 2D and 3D coordinates of 24 labelled facial landmarks are available. 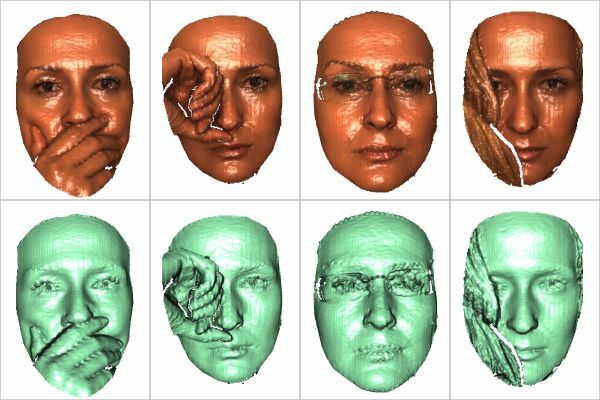 Facial points are manually marked on 2D color images, provided that they are visible in the given scan. 3D coordinates were then calculated using the 3D-2D correspondences. 105 subjects in various poses, expressions and occlusion conditions. The majority of the subjects are aged between 25 and 35. There are 60 men and 45 women in total. Most of the subjects are Caucasian. 29 professional actors/actresses are incorporated in the database. 18 men had beard/moustache and 15 other subjects had short facial hair. 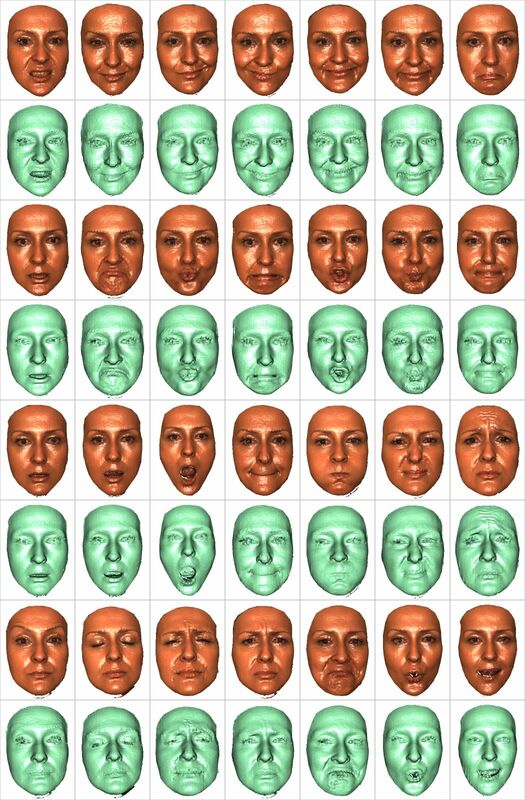 Up to 54 face scans are available per subject, but 34 of these subjects have up to 31 scans due to the fewer number of expressions. The number of total face scans is 4666. Emotions: Posed expressions of the six basic emotions that are accepted as universal. AU scores are available in the download page.